Nothing quite beats the thrill of driving a trolleybus. 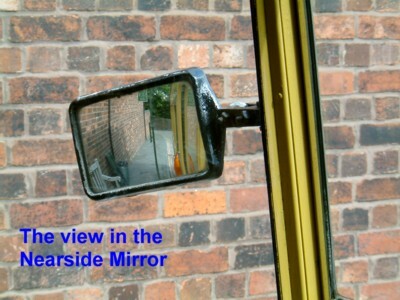 The conductor has just rung the bell and the view in the mirrors shows all is clear. Holding the handbrake on, you press your left foot on the power pedal until the contactors click first notch and the motor buzzes. 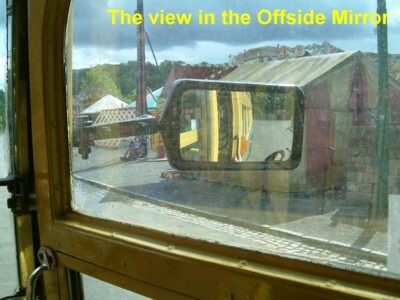 Then gently release the handbrake so that the trolleybus glides majestically away from the stop. Then you go up through the notches quickly, but steadily and pick up speed with the contactors clicking away merrily and the motor humming to itself its own quiet tune. There is the excited chatter of the passengers and the cry of the conductor as we call in at the stops on the way on our rather short journey. Finally, the terminus approaches and, after a final burst of power up the hill, we coast to a standstill and there is the thudding of feet above your head as the passengers alight. If you're lucky, you might even hear the magic words "Thank you, Driver".You alight from the cab, first switching out the breaker, place the wheel scotch under the front wheel and are greeted by the sight of your conductor bearing two mugs of steaming tea. But it wasn't quite like that the very first time. The first time was more like a kangaroo on heat. One with not much sense of direction either! The kerb kept jumping out at me and the laws of inertia would misbehave when I tried to stop. Eventually, after a lot of practice, the bus started to go where I wanted it to and stop when I wanted it to. The kerbs started to remain in the right places Also, it even stopped doing kangaroo impressions. In fact, with a lot of hard work, it finally behaved well enough to satisfy the examiner and finally I became one of the elite, a Trolleybus Driver. We're always on the lookout for new members to crew our vehicles. If you've ever harboured the ambition to drive, perhaps you should consider joining the group. If you think you live too far away, then consider that we do have one member who comes up from Redruth about once a month and quite a few are far flung. If you're over 16, you can conduct on the buses or the trams and if you're over 21 and have a full driving licence, then after doing some conducting, you can train as a driver.